So like any good vegemetarian, I am no longer scared of lentils. I pretty much have Indian food to thank for that! I appear to be so at ease with them now I can eat them out of a can in a salad – now there’s a sentence I never thought I’d write! I think caramelised onion and feta is one of the most delightful combinations. Well, if you like sweet + salty together, which I do. I also like the crispness of the pear to offset the silkiness of the onions, and the spinach adds a salady freshness. That is SO a term! 1. In a medium-sized frying pan, heat a little oil and add the onions. Cook over low heat 20-30 minutes until soft and golden. Add salt, sugar and balsamic 10 minutes before the end, to taste. 3. Top with caramelised onion, feta and a sprinkle of red wine or balsamic vinegar. 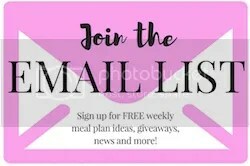 ♥ Grab the Meatless Monday button above and put it in your post, and even on your sidebar if you’re feeling generous. Visit at least one other blogger and leave some love. This is so much more cool if we’re in it together! This is seriously one of my favourite foods. Now I eat it without the feta, which isn't quite the same, but still yummy! If you like this combo, sometimes for a party I make little cups of puff pastry, fill them with the caramlised onion, and top it off with the feta. Delish!! 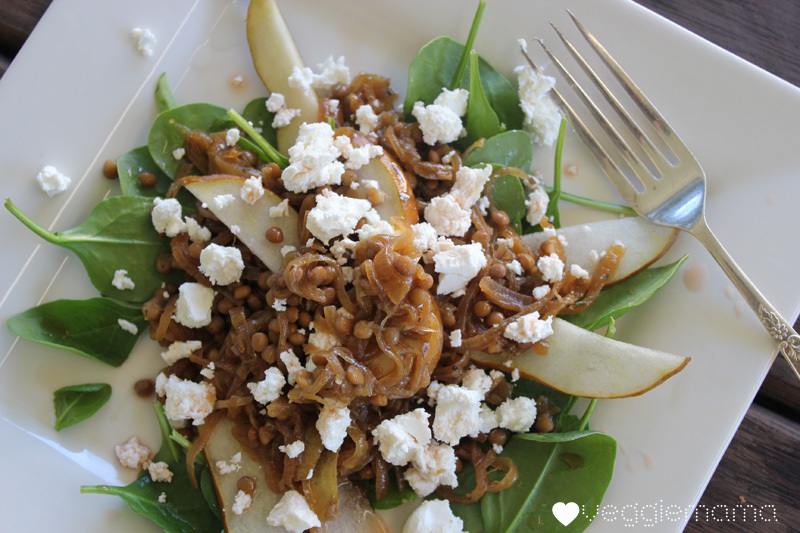 Gorgeous combination, I adore pear and fetta in a salad. Looks great – so where do the lentils come into it though? Do you just add them out of the can, or do you cook with the onions and balsamic? Looove caramelised onions. This is a great combo! This looks great, have never used caramelised onion in a salad, great notion! yum, caramelised onions are just about one of my favourite foods in the world! I have all the ingredients on hand, including some perfect little corella pears, so I think I will be making some for lunch later in the week…I have to get through a mountain of pearl barley salad first LOL! My very favourite pizza is a base covered with sauce and caramelised onions with great slices of brie layered across the top of the cooked pizza. amazing, but one I usually save for special occasions. umm…that would be me posting under my new secret profile :/ oops! I don't know lentils can be scary. Never look one straight in the eye… or is that black eyed peas?